of what the various number sequences we see may be t elling us . along with Doreen's own angelically channelled meanings of what the numbers signify. Monitor your thoughts carefully, and be sure to only think about what you want, not what you don’t want. The sequence is a sign that there is a gate of opportunity opening up, and your thoughts are manifesting into form at record speeds. The 111 is like the bright light of a flash bulb. It means that the universe has just taken a snapshot of your thoughts and is manifesting them into form. Are you pleased with what thoughts the universe has captured? If not, correct your thoughts…ask your angels to help you with this if you have difficulty controlling or monitoring your thoughts. Simplify your life. Get rid of anything that’s pulling at your energy, time, or finances—especially anything that pulls you away from your life purpose. The ascended masters are helping you with this simplification. Have faith. Everything’s going to be all right. Don’t worry about anything, as this situation is resolving itself beautifully for everyone involved. 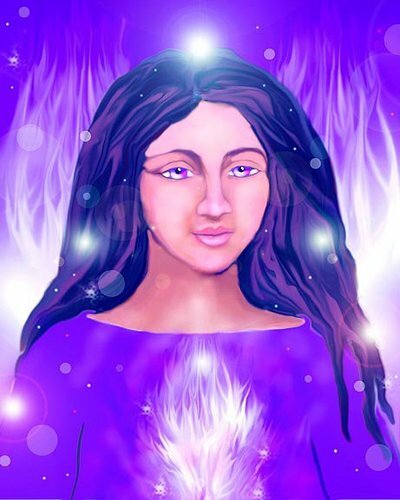 The Ascended Masters are near you, desiring you to know that you have their help, love and companionship. Call upon the Ascended Masters often, especially when you see the number 3 patterns around you. Some of the more famous Ascended Masters include: Jesus, Moses, Mary, Quan Yin and Yogananda. Buckle your seatbelts. A major life change is upon you. This change should not be viewed as being “positive” or “negative” since all change is but a natural part of life’s flow. Perhaps this change is an answer to your prayers, so continuing seeing and feeling yourself to be at peace. Your thoughts are out of balance right now, focused too much on the material world. This number sequence asks you to balance your thoughts between Heaven and Earth. Like the famous, “Sermon on the Mount” the angels ask you to focus on spirit and service, and know your material and emotional needs will be met as a result. The angels applaud you… “congratulations, you’re on a roll! Keep up the good work and know your wish is coming true.” This is an extremely positive sign and you should also expect more miracles to occur. A phase of your life is about to end, and this is a sign to give you forewarning to prepare. This number sequence may mean you are winding up an emotional career or relationship phase. It also means there is light at the end of the tunnel. In addition it means, The crops are ripe. Don’t wait to pick and enjoy them. In other words, don’t procrastinate in making your move or enjoying the fruits of your labor. The changes you’re making have put you on the right path for manifesting abundance in all ways. Get to work, Lightworker! The world needs your Divine life purpose right now. Fully embark upon your sacred mission without delay or hesitation. A reminder you are one with God, and to feel the presence of your Creator’s love within you. Also it is a sign that a situation has gone full circle.